Riggs J, Liu NC, Sutton DR, Sargan D, Ladlow JF (2019) “Validation of exercise testing and laryngeal auscultation for grading brachycephalic obstructive airway syndrome in pugs, French bulldogs, and English bulldogs by using whole-body barometric plethysmography”, Vet Surg. 2019 Jan 21. Liu NC, Genain MA, Kalmar L, Sargan DR, Ladlow JF (2019) “Objective effectiveness of and indications for laser-assisted turbinectomy in brachycephalic obstructive airway syndrome” Vet Surg. 2019 Jan;48(1):79-87. Hinchliffe TA, Liu NC, Ladlow J (2018) “Sleep-disordered breathing in the Cavalier King Charles spaniel: A case series” Vet Surg. 2018 Dec 28. Gough, A., Thomas, A. and O’Neill, D. (2018) Breed Predispositions to Disease in Dogs and Cats, 3rd ed., Chichester, West Sussex: Wiley-Blackwell. de Souza, M.C.C.I., Ryan, R., ter Haar, G., Packer, R.M., Volk, H.A. and De Decker, S. (2018) ‘Evaluation of the influence of kyphosis and scoliosis on intervertebral disc extrusion in French bulldogs’, BMC Veterinary Research, 14(1), 5. O’Neill, D.G., Baral, L., Church, D.B., Brodbelt, D.C. and Packer, R.M.A. (2018) ‘Demography and disorders of the French Bulldog population under primary veterinary care in the UK in 2013’, Canine Genetics and Epidemiology, 5(1), 3. Boyd, C., Jarvis, S., McGreevy, P.D., Heath, S., Church, D.B., Brodbelt, D.C. and O’Neill, D.G. (2018) ‘Mortality resulting from undesirable behaviours in dogs aged under three years attending primary-care veterinary practices in England’, Animal Welfare, 27(3), 251-262. Lewis, T.W., Wiles, B.M., Llewellyn-Zaidi, A.M., Evans, K.M. and O’Neill, D.G. (2018) ‘Longevity and mortality in Kennel Club registered dog breeds in the UK in 2014’, Canine Genetics and Epidemiology, 5(1), 10. O’Neill, D. (2018) ‘Disease predispositions in dogs and cats: the fuller story’,Veterinary Ireland Journal, 8(5), 303-305. Ladlow, J., Liu, N.-C., Kalmar, L. and Sargan, D. (2018) ‘Brachycephalic obstructive airway syndrome’, Veterinary Record, 182(13), 375. Liu, N.C., Troconis Eileen, L., McMillan, M., Genain, M.A., Kalmar, L., Price David, J., Sargan David, R. and Ladlow Jane, F. (2018) ‘Endotracheal tube placement during computed tomography of brachycephalic dogs alters upper airway dimensional measurements’, Veterinary Radiology & Ultrasound, 59(3), 289-304. O’Neill, D.G., Keijser, S.F.A., Hedhammar, Å., Kisko, C., Leroy, G., Llewellyn-Zaidi, A., Malm, S., Olson, P.N., Packer, R.M.A., Rousselot, J.F., Seath, I.J., Stull, J.W. and Bonnett, B.N. (2017) ‘Moving from information and collaboration to action: report from the 3rd International Dog Health Workshop, Paris in April 2017’, Canine Genetics and Epidemiology, 4(1), 16. Liu NC, Troconis EL, Kalmar L, Price DJ, Wright HE, Adams VJ, Sargan DR, Ladlow JF. Conformational risk factors of brachycephalic obstructive airway syndrome (BOAS) in pugs, French bulldogs, and bulldogs. PLoS ONE 2017;12(8):e0181928. 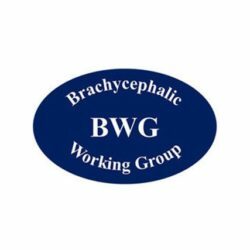 Liu NC, Oechtering GU, Adams VJ, Kalmar L, Sargan DR, Ladlow JF.Outcomes and prognostic factors of surgical treatments for brachycephalic obstructive airway syndrome in 3 breeds. Vet Surg. 2017;46(2):271-280. doi: 10.1111/vsu.12608. O’NEILL, D. G., LEE, M. M., BRODBELT, D. C., CHURCH, D. B. & SANCHEZ, R. F. 2017. Corneal ulcerative disease in dogs under primary veterinary care in England: epidemiology and clinical management. Canine Genetics and Epidemiology, 4, 5. O’NEILL, D. G., O’SULLIVAN, A. M., MANSON, E. A., CHURCH, D. B., BOAG, A. K., MCGREEVY, P. D. & BRODBELT, D. C. 2017. Canine dystocia in 50 UK first-opinion emergency-care veterinary practices: prevalence and risk factors. Veterinary Record, http://dx.doi.org/10.1136/vr.104108. WILES, B. M., LLEWELLYN-ZAIDI, A. M., EVANS, K. M., O’NEILL, D. G. & LEWIS, T. W. 2017. Large-scale survey to estimate the prevalence of disorders for 192 Kennel Club registered breeds. Canine Genetics and Epidemiology, 4, 8. O’Neill, D.G. and Packer, R.M.A. (2016) ‘The first canine behavior and genetics conference: Summary and recommendations for future directions in canine behavioral science’, Journal of Veterinary Behavior: Clinical Applications and Research. O’Neill, D.G., Meeson, R.L., Sheridan, A., Church, D.B. and Brodbelt, D.C. (2016) ‘The epidemiology of patellar luxation in dogs attending primary-care veterinary practices in England’, Canine Genetics and Epidemiology, 3(1), 1-12. O’NEILL, D. G., DARWENT, E. C., CHURCH, D. B. & BRODBELT, D. C. 2016. Demography and health of Pugs under primary veterinary care in England. Canine Genetics and Epidemiology, 3, 1-12. Summers, J., O’Neill, D., Church, D., Thomson, P., McGreevy, P. and Brodbelt, D. (2015) ‘Prevalence of disorders recorded in Cavalier King Charles Spaniels attending primary-care veterinary practices in England’, Canine Genetics and Epidemiology, 2(1), 4. O’NEILL, D. G., JACKSON, C., GUY, J. H., CHURCH, D. B., MCGREEVY, P. D., THOMSON, P. C. & BRODBELT, D. C. 2015. Epidemiological associations between brachycephaly and upper respiratory tract disorders in dogs attending veterinary practices in England. Canine Genetics and Epidemiology, 2, 10. O’NEILL, D. G., CHURCH, D. B., MCGREEVY, P. D., THOMSON, P. C. & BRODBELT, D. C. 2014. Prevalence of disorders recorded in dogs attending primary-care veterinary practices in England. PLoS ONE, 9, 1-16. O’Neill, D.G., Church, D.B., McGreevy, P.D., Thomson, P.C. and Brodbelt, D.C. (2013) ‘Longevity and mortality of owned dogs in England’, The Veterinary Journal, 198(3), 638-643. PACKER RMA; HENDRICKS A; BURN CC (2012) Do dog owners recognise clinical signs related to a conformational inherited disorder that is ‘normal for the breed’? A potential constraint to improving canine welfare. Animal Welfare 21(S1): 81-93.